It’s no secret that healthcare lags behind other industries when it comes to adopting and leveraging technology. What smart organizations are learning is that the best way to close the gap is to engage with other businesses. OhioHealth is doing just that by participating in an initiative in which leaders from banking, retail, and other areas share best practices in analytics and cybersecurity. It’s precisely that spirit of innovation that drew Michael Elley to the organization. In this interview, he talks about OhioHealth’s learning lab, how his team is preparing for the value-based care world, and the enormous impact that operational ownership can have on a project’s success. Elley also discusses the pros and cons of both small and large organizations, and why he knows he’s in the right place. There’s something to be said about being at a large organization that has the ability to do some pretty interesting and neat things within healthcare, and I missed that environment. So I was willing to take a step back from the CIO role in a medium-sized organization. We think we can do that best first with our own associates, take some lessons learned, and then take that out to the community, take that out to the large businesses and small businesses, and take that out to other independent providers and improve the sharing of data. If we’re trying to make improvements within our surgical IT applications, that’s not led by anybody from IT; that’s led by a surgical leader throughout the organization. So it continues to be pervasive in that way and it’s helped us quickly assimilate the changes that Epic has brought. If we can provide the data that everybody needs, either at the bedside or at their desk or wherever, that we’ll be able to make better decisions and take better care and be more prescriptive with how we take care of patients, and more predictive with how we take care of patients. Gamble: Hi Michael, thanks so much for taking some time to speak with healthsystemCIO.com. Elley: Glad to be here, Kate. Thanks for having me. Gamble: Sure. A good place to start would be to give some general information about OhioHealth — what you have in the way of hospitals, things like that. And obviously you’re located in Ohio, but where exactly? Elley: We are centrally located in Columbus, Ohio. We have 11 hospitals spread throughout Columbus and throughout the central region of Ohio. Gamble: And I imagine there’s quite a bit going on as far as ambulatory sites. Elley: There are all sorts of activities are happening. We are ramping up with our Community Connect program, looking to integrate more and more private practices and potentially some hospitals into our Epic instance and making some really sound, smart decisions about different ambulatory practices to bring onboard. Gamble: And your role is system VP of IT? Elley: Yes, that’s correct. I have oversight over shared services. So I oversee our enterprising analytics for the organization, our innovation efforts, and our mobile space. We’re doing a lot of things there right now. I also oversee our project management office, finance, imaging, engineering, and our business relation managers. So a lot of the shared services activities fall under my responsibilities and my accountabilities. Gamble: Who do you actually report to? Elley: I report to Senior VP and CIO, Michael Krouse, who also has operational ownership for several clinical areas such as lab, pharmacy, sterile processing, dietary, those as well. Gamble: In your background, you did hold a CIO role, but at smaller organizations, so now was it an adjustment coming into this type of role? Elley: No, I actually worked for a large organization in the past, and I really missed that. I worked for BJC Healthcare out of St. Louis, which is very similar in terms of size and reach. And there’s something to be said about being at a large organization that has the ability to do some pretty interesting and neat things within healthcare, and I missed that environment. So I was willing to take a step back from the CIO role in a medium-sized organization and go to Ohio Health and be in that large environment again. Gamble: So is there a pretty clear breakdown as to what falls under your purview and then Michael Krouse’s? Elley: Yes. There are I think six VPs within IT under Michael within Ohio Health. There are individuals that focus on infrastructure, and we have a newly-appointed CISO who has been with us for about six months now. Some are focused more on the regional systems — we aren’t all on Epic yet. Some are focused on the planning side of the house and then some are focused largely on Epic — and that takes a lot of her time, as well as clinical engineering. Gamble: So not all of the hospitals are on Epic at this point? Elley: No. We have three hospitals in the region that are still not on Epic. We are planning to look at bringing them onboard probably in the next 2-3 years. Gamble: And as you alluded to before, there’s a big focus on bringing private practices onto Epic. Elley: Yes. We’ve pretty quickly escalated our position around deploying Community Connect to the private practices, probably the past 5-6 months. Really, right now we’ve been setting up the infrastructure, socializing what Community Connect is to those private practice physicians and clinics, building the pro forma income statement around those things and actually building up a team so we can support Community Connect. Gamble: How is that mostly done as far as getting that word out and then educating some of the physicians and trying to recruit them? Elley: Ohio Health has done a really innovative thing in terms of whenever we deployed Epic. We started with our first Epic hospital in February of last year, and so it’s really been roughly 18 months since our first hospital came on. We deployed nine hospitals over the course of about 7 months and so with that, we had a physician envoy. 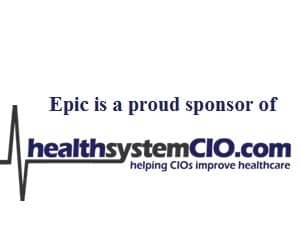 So we had employed physicians and independent physicians that really had a lot of extra training and were supporting our Epic install and go-live and continued to be heavily engaged with what we do and how we modify and work within Epic. A lot of those physicians were actually independent physicians, and so those were already good groups to get engaged with because they had a deep appreciation for what Epic could provide them. So we started having some conversations with them first and then really understanding from other senior leaders operationally who are some good practices to target. Our target is well over 200 physicians in the next 18 months that we’re going to try to bring on. Gamble: And it’s pretty clear why this is your strategy with how things are going just as far as bringing in these docs and having that flow of information. Do you have a clinically integrated network, or are you just using that type of model? Elley: We’re still developing our CIN right now. We understand that there’s going to be a need in the future for that as we continue to try to lower the cost of healthcare within our community. We think we can do that best first with our own associates, take some lessons learned, and then take that out to the community, take that out to the large businesses and small businesses, and take that out to other independent providers and improve the sharing of data to improve quality and lower the costs of care. Gamble: Right. And there’s a good amount of willingness to go onto Epic? Elley: I think so. This is not one of my direct areas, but I know from some of the conversations I’ve had with other VPs that we do have several physicians that we’re targeting and having conversations with. I think our first practice will come on in September, and after that we’re targeting several every month over the next 6 to 12 months. Gamble: When you talk about how the IT department is set up, I imagine that having several different VPs is what makes it possible to do nine hospitals in seven months. Just thinking about the logistics of that, it’s pretty amazing. Elley: It is. But it’s not the leadership; it’s the associates that are actually doing the work and just the type of individuals we have here. OhioHealth is continuously a top place to work for and continues to have great associate engagement scores, and really it’s attributed to the staff that are doing this. We had a pretty aggressive timeline, and then you had operational ownership. I’ve been here for 14 months and the first thing that really surprised me coming from other health organizations was how engaged the hospitals and the physicians and the operations, the non-IT individuals, were with this. They were all onboard. It was co-led by an operational executive with our IT executives. Almost everything we do is co-led by some sort of operational leader, and that just helps out tremendously when you have that engagement. Gamble: Yeah, I can imagine. Is that the way things have been done and it’s been established over time? Elley: Yeah, I think it has. I think it’s something they found a lot of success with. They had spoken to other organizations that had installed Epic early on and a few others had utilized that model and found a lot of success there. So that’s how we’ve migrated to doing other projects; something that would be largely considered an IT project is really co-led by somebody from the operations and an IT leader. And then we identify all of these other different areas of the hospital. For example, if we’re trying to make improvements within our surgical IT applications, that’s not led by anybody from IT; that’s led by a surgical leader throughout the organization. So it continues to be pervasive in that way and it’s helped us quickly assimilate the changes that Epic has brought. Gamble: As far as you know, the hospitals before were on a couple of different systems? Elley: McKesson largely. McKesson Horizon Clinicals was the previous system. Currently, we still have one of our hospitals on Cerner and then another one is on Paragon. They’ll be transitioning in the future. Gamble: When you talked about some of the main areas that fall under you, you mentioned analytics. Can you talk about some of the big priorities there as far as what you’re working toward? Elley: Yes, it’s such a demand. Our organization is going through something pretty transformational for us. Other parts of the nation have been hit, especially in the West Coast, with what has been deemed the value-based journey to where organizations are seeing less reimbursements for volume-based work and either better reimbursement for quality-based work or better reimbursement for keeping patients out of hospitals, those sort of things. So we as an organization have identified 16 different work strings or projects within the organization that we can do to help us drive our journey from volume to value. One of the highest priority items was enterprise analytics. We know that if we can provide the data that everybody needs, either at the bedside or at their desk or wherever, that we’ll be able to make better decisions and take better care and be more prescriptive with how we take care of patients, and more predictive with how we take care of patients. And so right now, we are actually putting together a pretty robust and investment heavy enterprise analytics strategy and roadmap.